Controlling an interior environment is a difficult task for facility managers. Facility management is a specialised field and it requires the right balance of skills and tools to keep a building running optimally. Most modern buildings today – residential or commercial – employ specialist facility managers to monitor and manage different areas of the built environment. Managing a building goes beyond replacing light bulbs; a facility manager is responsible for an environment that houses products and people. Under the wrong conditions, those products could get damaged and people's well-being would be at risk. 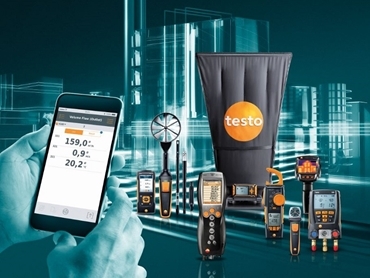 Here's how digital tools from Testo can monitor all areas of your building. 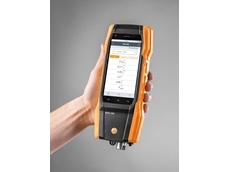 testo 440: Air velocity and IAQ instrument monitoring turbulence, mould detection and long-term measurement. 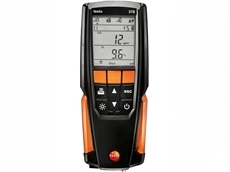 testo 480: Multifunction air velocity and IAQ with probes for measuring temperature, per cent RH, draught, flow, CO2 and lux. testo 175 H1: Data logger for monitoring climate like temperature and humidity in offices and storerooms. testo 440 dP: Air velocity and IAQ measuring for volume flow, K-factor, cooling/heating output and long-term measurement. testo 480: Multifunction air velocity and IAQ measuring instrument for standard compliant HVAC grid measurement in accordance with EN 12599.
testo 420: Volume flow hood measuring incoming and outgoing air around large outlets. testo 417: Vane anemometer set measuring volume flow, flow velocity and temperature. testo 330i flue gas analyser: Official test measurements on gas, oil and solid fuel systems. 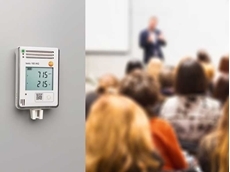 testo 510i: Differential pressure measuring instrument (from 0 to 150 hPa) on gas heaters. testo 770-3 clamp meter: Performance measurement with a retractable pincer arm for tight locations. testo 760-2 digital multimeter: Works as a true root mean square measurement and integrated temperature adapter. testo 872: Thermal imager with an app measuring IR resolution of 320 X 240 pixels via our integrated SuperResolution technology. 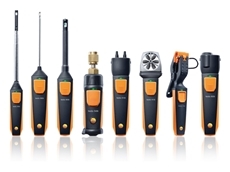 testo Smart Probes refrigeration set: Fast checks of air conditioning and refrigeration systems without hoses so there is no refrigerant loss. testo 550: Digital manifold ideal for servicing of air conditioning and refrigeration systems using a convenient temperature and pressure as a progression display. testo 557: Digital refrigeration gauge with vacuum probe for more reliable evacuation of the system. 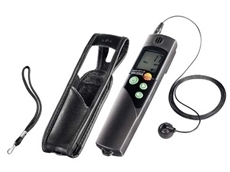 testo 882: Professional class infrared camera measuring moisture image or high temperatures. testo 875-2i: Versatile thermal imager with sensitivity <50mK. Testo's measurement technology covers all tasks in facility management with the assurance of quality and reliability. Our tools save you time, improving the efficiency of your day-to-day responsibilities. We have professional support to help you when you need it, as well as seminars and webinars to keep you apprised of the latest developments. 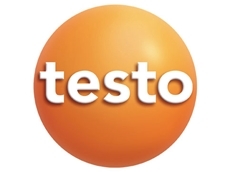 To learn more, contact the team here at Testo today.